Kushans - AE Tetradrachm - Vima Takto ("Soter Megas") 80-100 A.D. Welcome to Brett's Coin Identification contest. 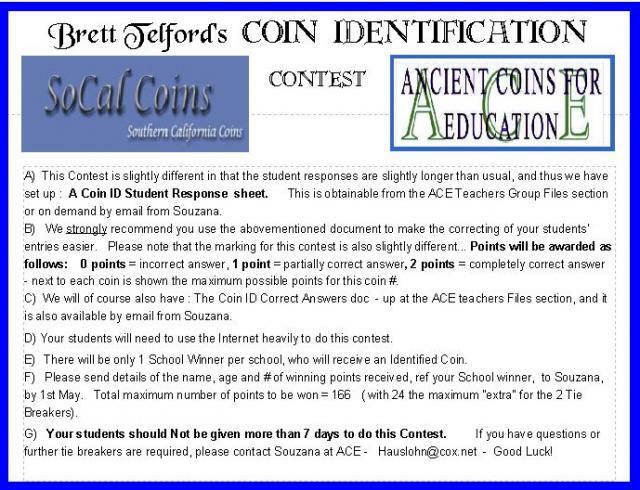 Using wonderful images courtesy of CNG and Brett's SOCAL, we test ACE students, and each school winner receives an identified Roman coin. PLEASE CLICK ON THE IMAGE TO SEE THE QUESTIONS.